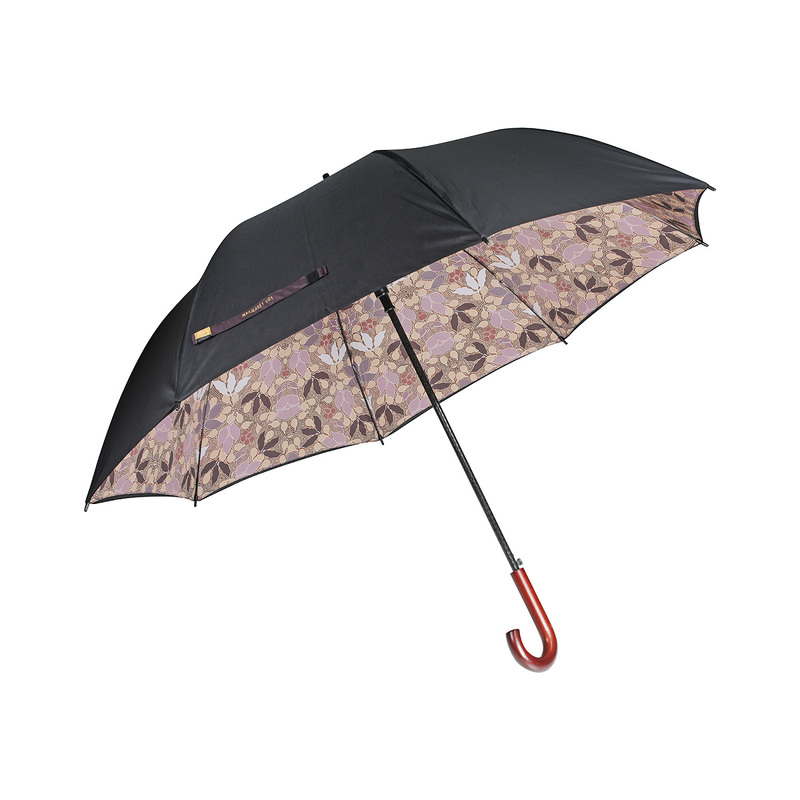 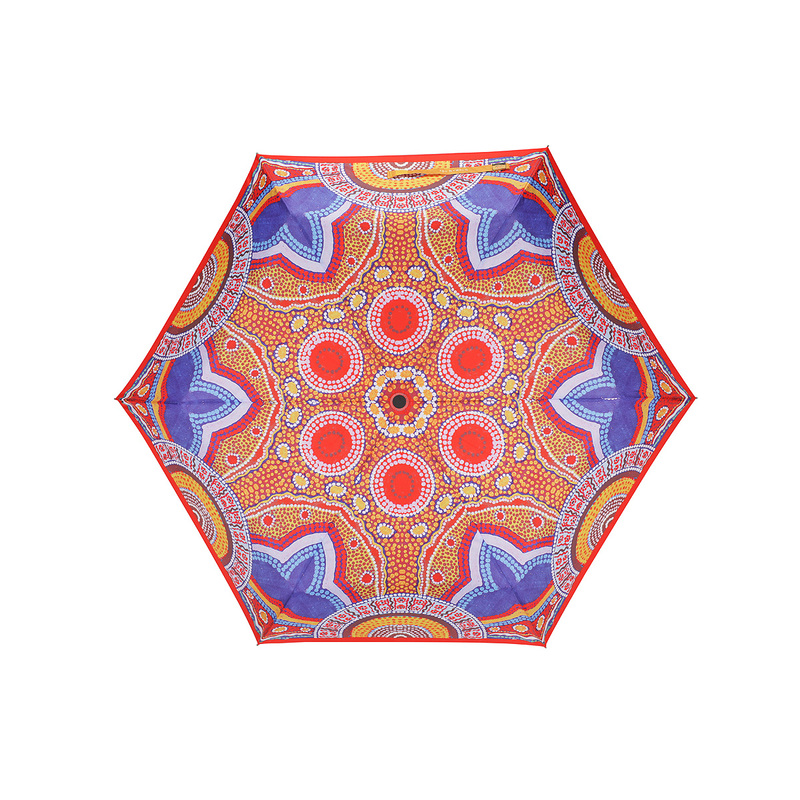 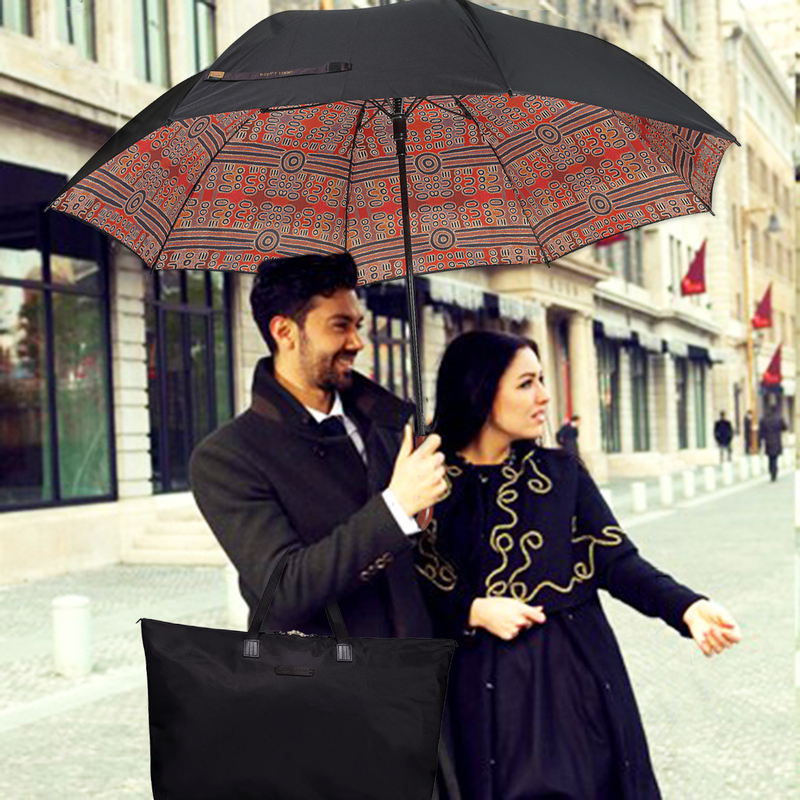 This stunning large golf umbrella is the perfect Australian gift or souvenir. 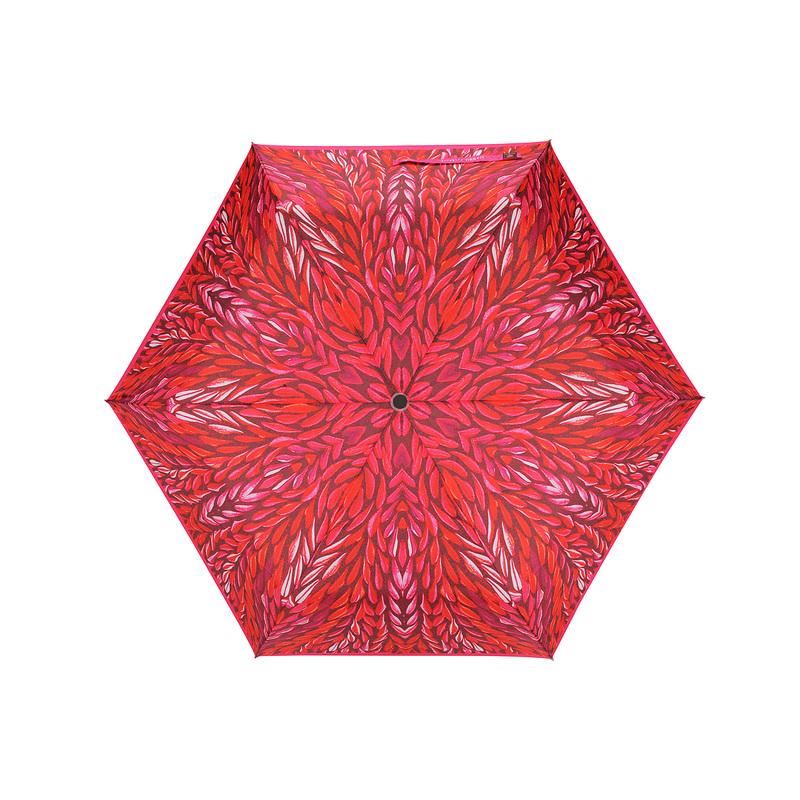 Featuring an Aboriginal print called “Dreamtime Journey” by artist Biddy Timms in the lining, it has a sophisticated and unique design not found anywhere else in the world. 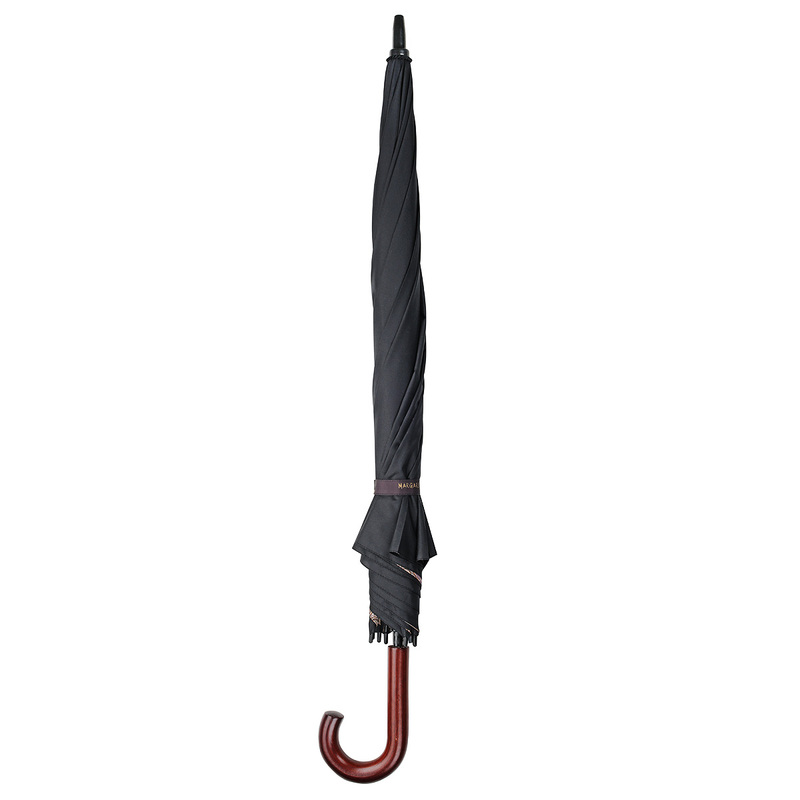 With auto opening it’s sure to be a conversation starter on a rainy day. It will make you smile on the greyest of days and remind you of Australia whether that means home or a wonderful holiday or trip you had. 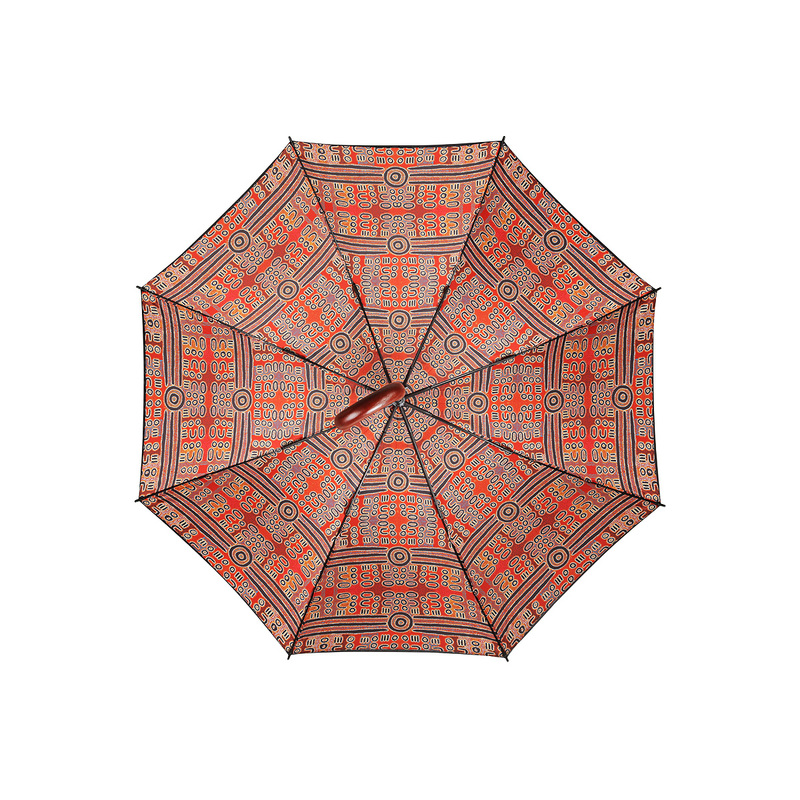 It measures 100cm long when closed and opens to a canopy size of 140cm across with 8 panels.